We are pleased to announce the promotion of Lisa Wilson. 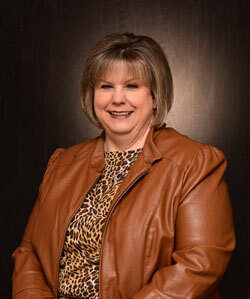 Lisa was recently promoted to Human Resources Generalist and Corporate Hourly Payroll Administrator. She assumes the human resources responsibilities of Susan Barker who retired. Additionally, Lisa will continue her corporate payroll duties. Lisa Wilson began her Strongwell career over sixteen years ago as an administrative assistant in the Quality Assurance department. Since that time, she has held progressively responsible positions and was most recently the corporate hourly payroll administrator. In the past year, she was the ADP project manager and Lisa successfully led the transition of the Strongwell payroll to ADP. Lisa is married and her husband, Ray, is employed by Electro-Mechanical Corporation. She is the proud mother of daughter, Victoria, and son, Connor. Please join us in congratulating Lisa on her well-deserved promotion.